Chris Barton lost his life early Saturday morning in Arlington, and his friends have expressed interest in helping with the costs associated with his service and transportation and have set up a GoFundMe page for donations. Friends will be having memorial happy hours at Rock Bottom Tuesday, June 30 and at Citizen Burger on Thursday 6-9pm. Whitlows will also be raising money at their mug night on Thursday to assist his family. Northern VA Pride is hosting a celebration of the Supreme Court decision making Marriage Equality legal across the entire United States. Join them at A-Town right next to Ballston Metro on Monday June 29 from 5-10pm. Specials include half price sushi all night and "pride-tinis". For each pride-tini ordered, A-Town will donate $2 to NOVA Pride. No dress code or cover. 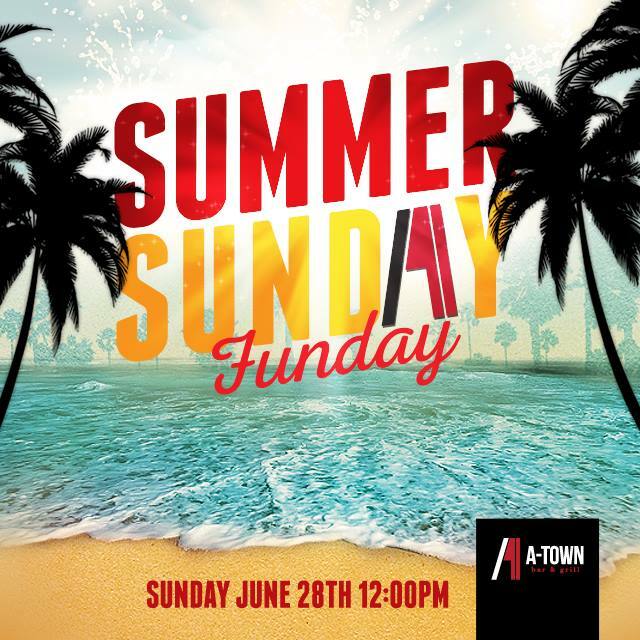 Crazy partying, loud beats and sparkly bottle service officially return for this season to A-Town at their Summer Sunday Funday kickoff party Sunday June 28. 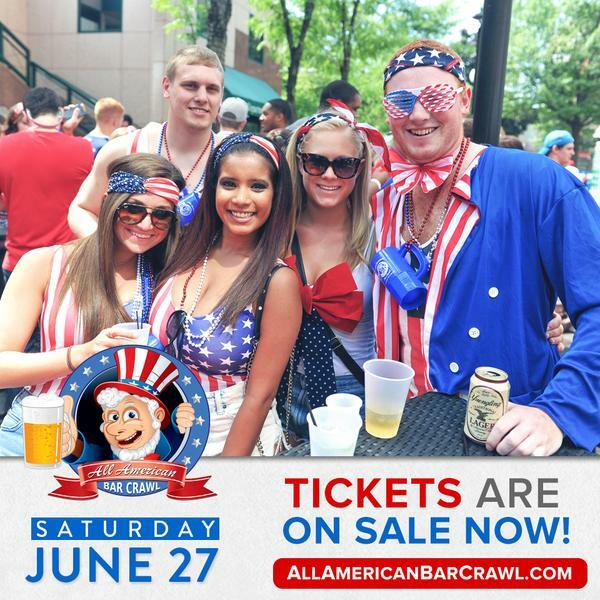 Every Sunday is pretty wild at Ballston's rowdiest bar, and this Sunday Funday promises to be even wilder with quirt guns, beach balls, popsicles, barbecue, water balloons and other summer themes. Multiple DJ's take turns keeping the crowds moving with DJ EPX, Phlipz, Saam and DBT. Brunch starts at 11am and the party begins at noon. There is no cover charge but expect a line after 2pm. Also expect to be stepping over several people not able to stand anymore after 5pm. And yes, everyone does have to work Monday but that has never stopped Sunday Funday before. Rooftops at Don Tito and Whitlows are sure to be crowded, along with the outdoor patios at Mad Rose and Sobe. If you need to escape the crowds and don't want to wait in a long line, head to Iota for faster service. Iota's new outdoor back alley bar will be the hidden gem for this bar crawl. 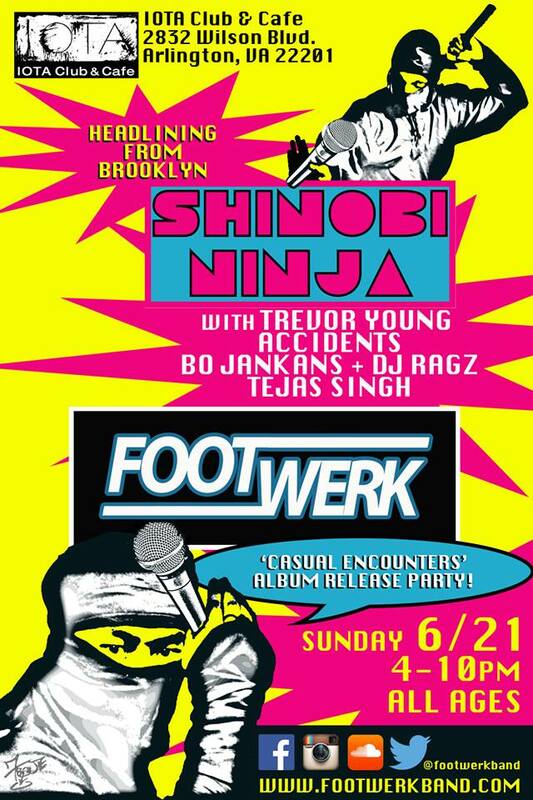 On Sunday June 21 Footwerk, a rising Washington DC-based indie hip-hop group who are about to release their debut LP Casual Encounters are playing at Iota. Their latest single "No Hurry" dropped last month exclusively on Brightest Young Things. Footwerk mixes hip-hop and other influential genres into their own unique sound. Cover is $15 for the entire day. 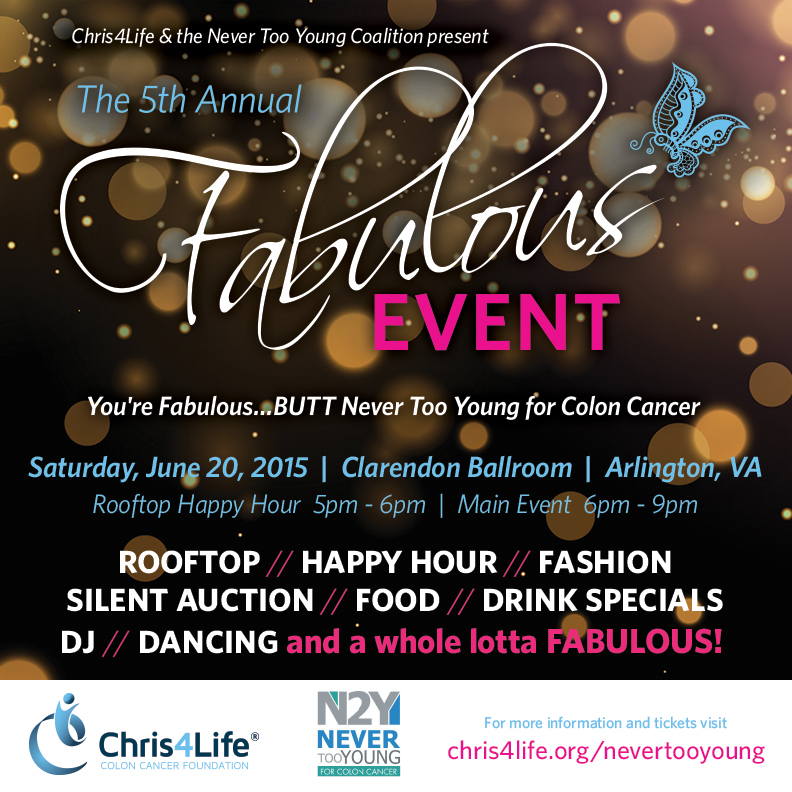 This Saturday June 20 is the annual cancer fundraiser Chris4Life Colon Cancer Foundation at Clarendon Ballroom. 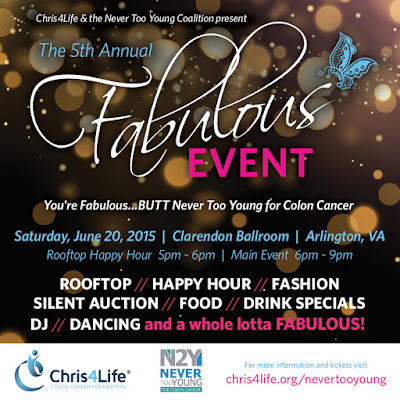 The is the fifth year of this "Fabulous" event especially dedicated to Erica Paul, who lived in the DC area and died of cancer at 29. The evening starts with a rooftop happy hour at 5pm. From 6-9pm the main dance floor will host cocktails, hors d'oeuvres, DJ Hurley, and a fashion show by Current Boutique and the popular fashion style truck The Pink Armoire. Tickets are $30 for general admission, or $100 for VIP. Extra raffle tickets can also be bought online. 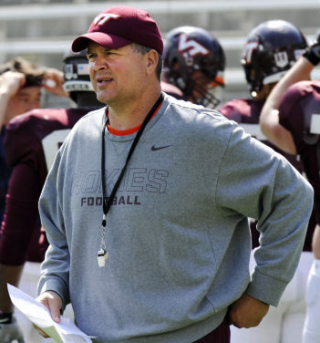 This Tuesday June 16 Clarendon Ballroom hosts a special Nova Hokie Club VA Tech alumni event about Hokie football. Defense Coordinator Bud Foster and O Line Coach Stacey Searles will discuss various topics relevant to their positions and on the minds of Hokie Nation and take questions. Doors open at 6pm and event starts 7pm. You can purchase tickets for the event now for $15 online. Tickets at the door the night of the event will be $20. Kids are free. All proceeds will go towards the Virginia Tech Athletic Fund. Specifically, the NOVA Hokie Club has pledged all 2015 proceeds to the New Indoor Football Practice Facility. There will be light appetizers, a cash bar and a raffle auction.